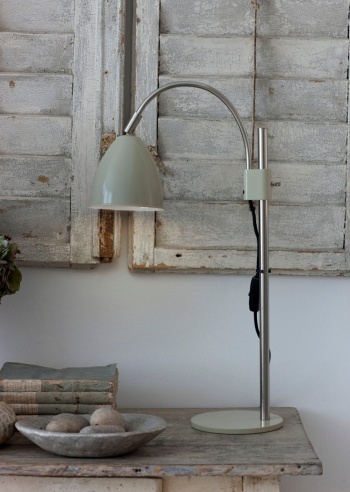 Our beautifully shaped Brompton Table Lamp stands tall in the design stakes. Whether you are working, reading or just relaxing in a comfy chair, make the most of our delicately figured freestanding lamp. Its classic shape will complement your home perfectly, adding a touch of contemporary charm to any living space. This sleek, industrial-style lamp adds just the right amount of ambient light to several areas of the home. 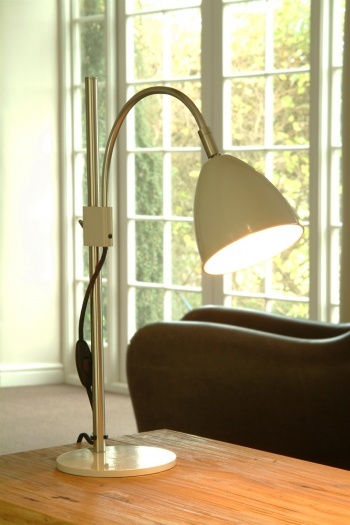 Find it seamlessly lighting an alcove or study, offering a helping hand for when a spot of reading is in order. Or enjoy it whilst unwinding in your favourite chair, providing a warming glow on a chilly winters evening. 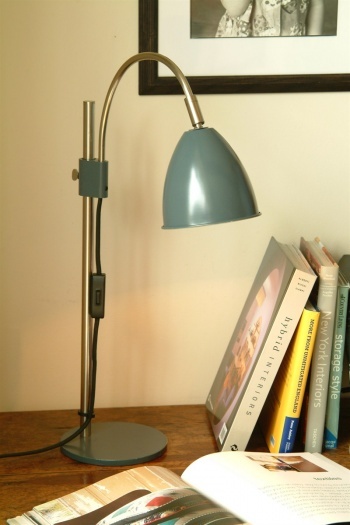 With our original design and carefully crafted materials, our Brompton Table Light uses powder-coated steel for both base and shade, and the supporting arm consists of quality stainless steel, with an option to adjust the height so you’ll always have the right amount of light, at just the right height. Finished in our naturally inspired colours, the temptingly shadowed hue enhances and complements any interior decoration.The overall height of the table Brompton Light is 60cm, and the diamter of the shade is 12.5cm.